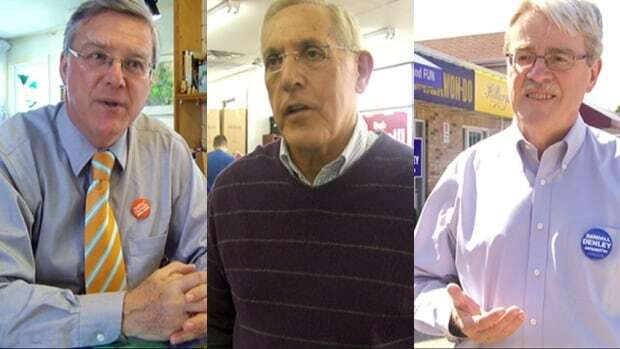 Residents in Ottawa West-Nepean could be forgiven for forgetting which election they were voting in when they cast their ballots on June 12, as three men equally known for their roles in municipal politics battle in the Ontario riding. Former mayor and current Liberal energy minister Bob Chiarelli again faces off against former Ottawa Citizen city hall columnist Randall Denley, the candidate for the Progressive Conservatives he beat in 2011. Joining them in the race this time is another familiar face from city hall: former Bay Ward councillor Alex Cullen, who is representing the New Democratic Party. But all three candidates say their campaigns will be focused firmly on the issues today facing the province and the riding. Chiarelli said he and his party will campaign on their recently released budget, which both the NDP and Progressive Conservatives said they would not support. The budget called for the province to spend $130 billion over a 10-year period, another $11.4 billion on hospital expansion and laid out plans to establish an Ontario Retirement Pension Plan. After NDP leader Andrea Horwath said she had lost confidence in the minority government of Kathleen Wynne and signalled she would not support the budget, Wynne went to Lt.-Gov. David Onley to dissolve the legislature, triggering the election. Denley, who lost to Chiarelli by just over 1,000 votes in the 2011 election, said people he’s spoken with this weekend are most concerned about their high power bills. “Of course I’m running against the energy minister, and people understand that and they’re not very happy with it,” said Denley.